With Deep Breath meeting some mixed reactions, especially from the fans, only two things were certain. 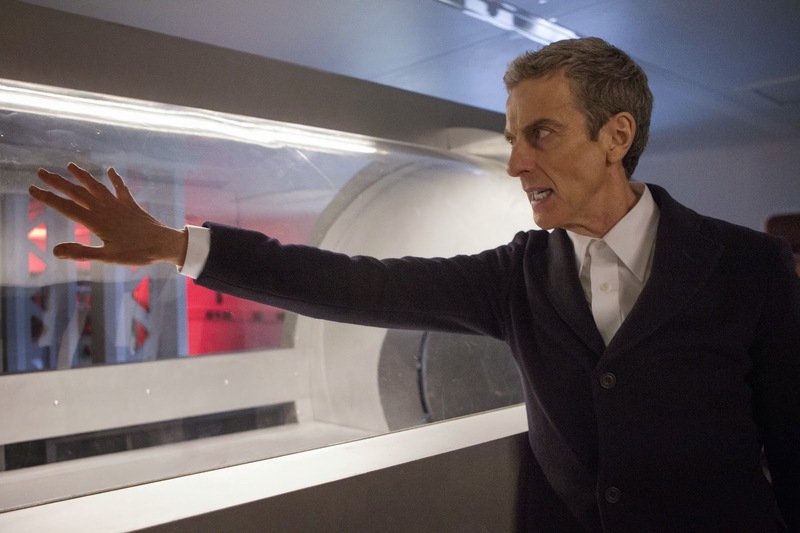 Peter Capaldi was the shining point of the episode and it is definitely darker now. But with a darker tone, neither us nor The Doctor are certain on who he is. Is he a good man? 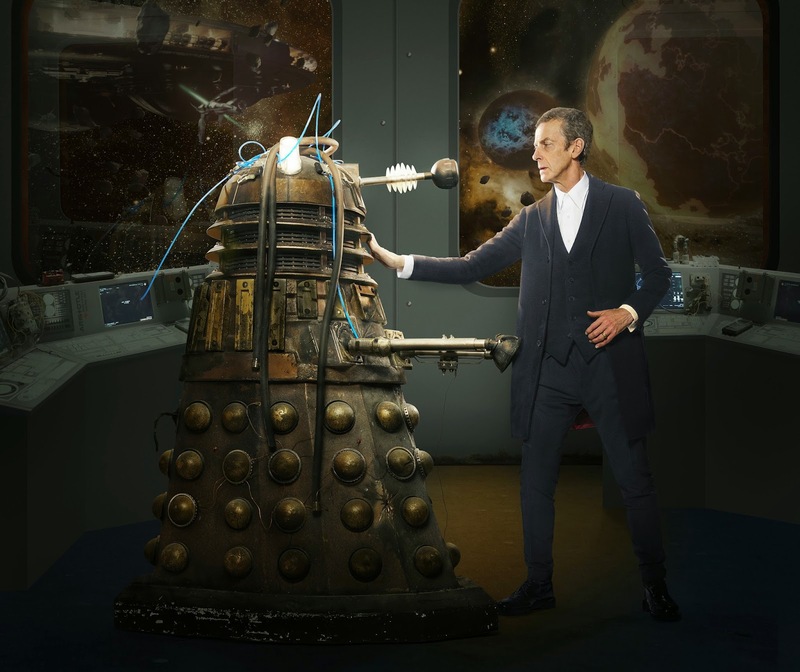 Into the Dalek, penned by Phil Ford and Steven Moffat, takes a newly regenerated Doctor and tries, with great success, to open up our new Doctor and show both The Doctor and the viewers his soul. New Doctors' second episodes have usually been a bit hit or miss, but Into the Dalek is very possibly the strongest second episode we've seen so far in the revival, although the episode wouldn't have worked nearly as well if it were placed anywhere else, or with any other Doctor. "Terrible idea for a proctologist." Into the Dalek joins Dinosaurs on a Spaceship in the "it does what it says on the tin" titles category. We see The Doctor, Clara, and three soldiers be miniaturised and inserted into a Dalek, with the intention of repairing it from its severe damage. In fact, it's so damaged that it has turned good! This isn't actually a new concept to Doctor Who, as Justin Richards wrote a graphic novel, The Only Good Dalek, around a very similar concept and the fans have also considered it immensely. Half of The Cult of Skaro have also suffered from turning good. The idea of miniaturising is far from new too, with the original 1966 movie Fantastic Voyage. It even has its own trope which has already appeared on Doctor Who back in The Invisible Enemy in 1977. It is even lampshaded in the episode! A similar idea of miniaturisation, with a similar threat, has also appeared recently in Let's Kill Hitler. The Daleks have also always had the recurring theme of showing us elements of The Doctor - take Journey's End as a fantastic example of this - and Into the Dalek is no exception, especially with it feeling very similar to 2005's Dalek. In this episode, he is faced with a 'good' Dalek which is something he professes is absolutely impossible. But it has triggered him to question himself more, prompting him to ask Clara the now infamous question, "am I a good man?" Before we even get to this, however, the episode opens with a ship running from the Daleks. 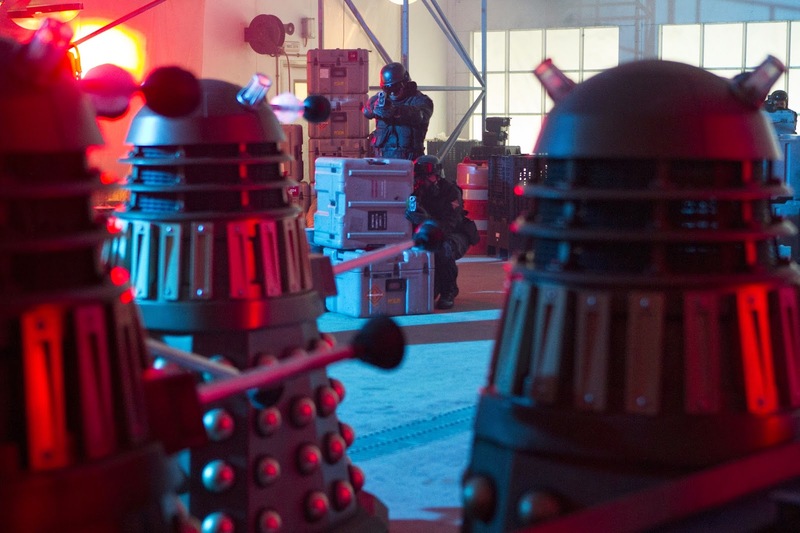 Like with Asylum, it is very nice to have The Daleks be a major threat (like in the Classics) without the story revolving around them all perishing or trying to destroy everything, like in RTD's era. This helps to keep them scary, since they're not easily wiped out at every single meeting. The Doctor manages to rescue a soldier, Journey Blue (Zawe Ashton), from the ship just in the nick of time while still holding his two cups of coffee. Despite failing to save her brother, The Doctor is incredibly cold to her and continues being cold throughout the episode and at some points he is very 'un-Doctor-y', especially when faced with death. At one point, I even felt slightly repulsed by him. His time on Trenzalore, especially against the Daleks, has definitely hardened him. After quite forcibly teaching Journey on how to ask nicely, which feels like something The Doctor (especially this Doctor) would do, he returns her to her base, the Aristotle, where he is soon confronted with the Dalek, quickly destroying his excitement at being shrunk. Capaldi's reaction quite possibly made the episode. We return to the pickups and dropoffs of Clara. It is very nice to see a companion who has a normal life and a sense of control over, as she puts it, her 'hobby'. 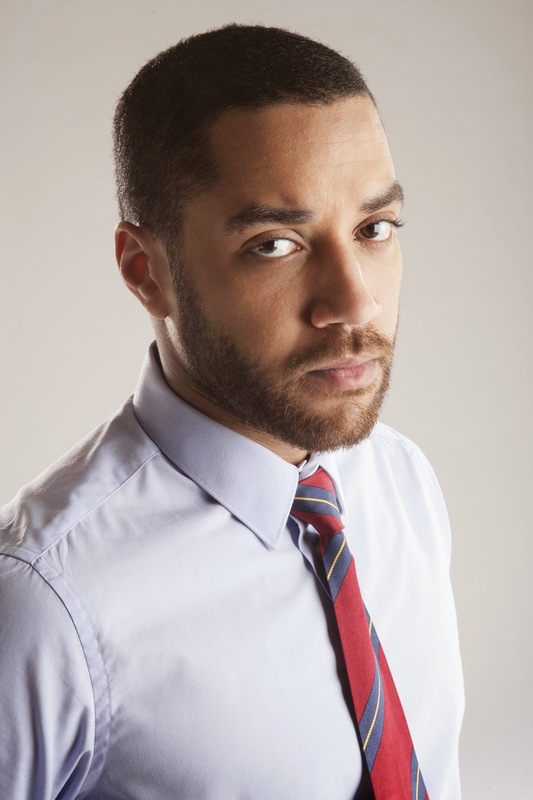 We also start to see some further much needed character development for Clara with the introduction of new companion Danny Pink (Samuel Anderson). After just being 'dumped' by The Doctor, she sets her egomaniac sights on the first new man we see introduced and practically forces him into accepting a drink with her. Take from this what you will, but I find it pretty needy (and thus, either quite shallow writing or later episodes simply didn't have the spare time to introduce him). However, while it was only a few minutes, his introduction was beautiful, telling yet also momentarily cringe-worthy. It gives me incredibly high hopes for Samuel Anderson and the character's back-story he is telling. Luckily, we don't hang around Coal Hill too long, and soon after the Doctor kicks open the door, we're into the Dalek and the actual plot can begin. The episode poses some new ideas towards the Daleks, some great, but some don't fit very well into the overall design of the master race, especially the somewhat anti-climatic nature of the solutions, but they fit the episode well. It was nice to hear them chant "Seek. Locate. Destroy." again too. For some reason, this episode has some really terrible control of the Daleks' heads - specifically the eyestalks - with them flying all over the place. Sadly, this really takes away some of the fear of the Daleks in this episode since they no longer have the still death stare but rather are pretty much everywhere but the enemy. Similarly, the speech lights were also hit and miss. On a positive note, I've never seen a Dalek shoot so fast before which can be considered an improvement, depending on your point of view. After a few extended episodes, Into the Dalek feels a lot quicker now that we are back to the standard 45 minute length, although Deep Breath's slow pace helps account for this even more. Having said that, the pace of this episode is excellent. The episode, especially the ending, neither feels rushed or slow, which has been quite a rarity this past couple of years. It even gives plenty of time for a wonderful speech. For some reason, I found the title sequence much nicer this time, possibly due to the massive reduction in the delay for it to begin. Can you spot the eyes? They ARE there! As a strongly CGI-based episode, the CGI in this episode may not have been top-notch but it was perfectly adequate, with some really cheesy exceptions, such as the door explosion. On a pedantic note, I thought the shrunken characters seemed a bit big for what was occurring and the choice on the backdrops are a little weird. Capaldi and Coleman have some amazing chemistry, which definitely shows. It's very different from the chemistry with Matt, with The Doctor constantly jabbing at her, and others, and Clara casually responds, including slapping some sense into him. Capaldi is bone-chilling in his cold eyebrowed stare and does a great job at being cold and silently (and not so silently) upset. Michael Smiley does a great job at being as humanly emotionless as possible for the little screen time he has, while Zawe Ashton easily makes you have the feelings for her. Samuel Anderson was simply outstanding. Everyone else can quite easily be taken or left. I feel Jenna's costume should also be mentioned. Sadly, it's not as elegant as her previous bowtie one, I find it quite awesome that her first Capaldi costume is a top full of eyes! The episode is rather lacking in the music department, with a few needy exceptions, especially as far as new music is concerned. Perhaps it is the sound mix of the preview copy or they're just trying to give it a more raw feel. It's somewhat disappointing that the climax of the episode is old music. Overall, the episode was very enjoyable, as long as a few things are overlooked, such as the repeated elements and ignoring key Dalek details with the director, cast and pace making up for this. I would rate it 7/10. Into the Dalek airs tonight at 7.30pm.